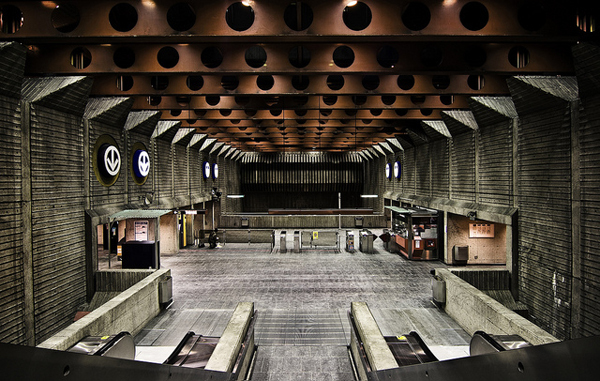 We recently featured a lovely photo of a long corridor in the Montreal Metro. Above is another photo, with a wider view of a station by photographer Alexandre Claude (here’s a link to his photo blog). I’m not sure how I feel about the station design. I like the modern look but it also feels a little cold. What do you think? The photo was taken with a Canon EOS Digital Rebel XS with an eight-second shutter speed, f/14 aperture, 12 mm focal length and 100 ISO.